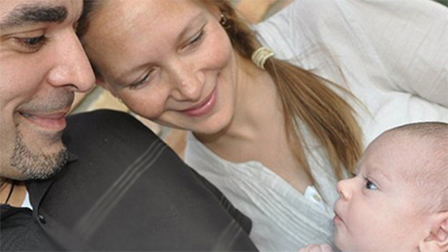 Let’s explore the use of Spinning Babies® as a physiological approach to relationships with parents as well as a treasure trove of techniques for easing childbirth. 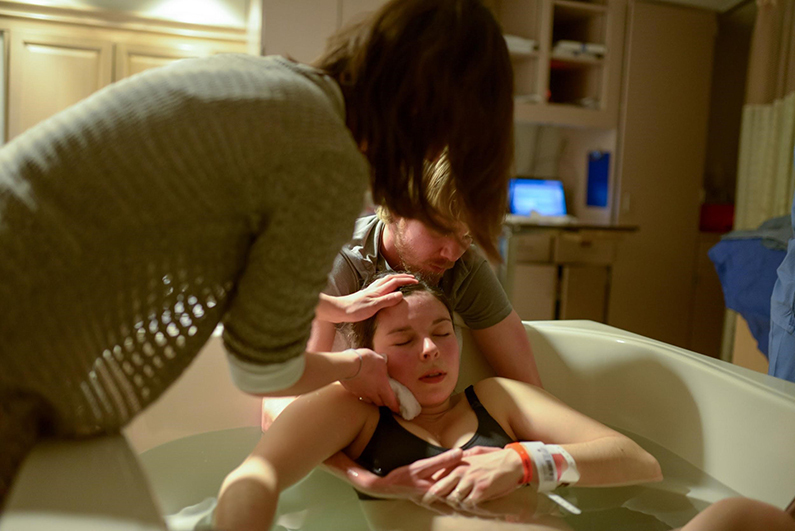 What presents as a question of client care reveals a common challenge of entering the Spinning Babies paradigm of Physiology Before Force℠, our service mark to invite doulas and providers, such as this one, to think of birth and our approach to birth in a new way. When we see techniques as tools to fix labor, we might fairly ask if we see the birthing person as someone to be fixed. Immediately we feel rewarded when they “cooperate” with the “fixing.” We act, they receive. The efficiency of compassion in this dynamic is to pull techniques out of our bag of birth tricks. This is a tendency towards a provider-based view–even when we offer options. Physiological implies a body process. Emotions and actions are results of physiology before they are the cause of further physiology. A choice between willingness or self-protection is made first by our physiological state. People might cooperate because someone presents an air of authority that they then go along with, and they may even seek that authority. Options, in this perspective, are chosen on external influences such as those offered through the scope of that relationship. Cooperation or compliance is not based, then, on inner knowing but in order to stay in relationship. In our work of supporting birth physiology, we soon notice that our own physiological state affects all present. The physiological state of the collective birth team affects details of the birth giver’s body functions. Lengthening labor when trust is low or a change is occurring. The reliance that the doula will remain present (continual presence of the doula) is well documented to shorten labors, for instance. But how is the doula interacting? Being with the birth or being alert to intervening, even with “natural” measures? We begin to notice that leaning into strategy inhibits the physiology of birth. This is what I mean by empowering birth isn’t about options, but relationship. The beneficial relationship which offers being present, observing and sometimes suggesting, but from a rhythm with the labor, not the mental gymnastics necessary to show others on the birth team you are ready when that emergency occurs. That’s the electrical charge we want in a sports team member, not a birth team member. Readiness is there, of course, but is not charging the emotional presence in the room. The expectation is for emergence, not emergency. A quiet continuous presence allows energetic or emotional opportunity for the birth giver to respond to their own body signals, and therefore their needs (and thereby reducing the number of emergencies wherein a strategy for immediate solutions does require more directive management). It’s not about what we know for the birthing person, but rather how what we know integrates with who we are. This is felt by sensitive people like those who are giving birth and being born. Does back labor beg for help? Preparation in pregnancy is where to start. Practice a move, a breath, a technique while nurturing confidence. We can keep explanations for why we prepare based on desired outcome. “The Sidelying Release helps baby rotate and slip out with less effort.” Comfort techniques can prepare the mind better as we note how they address the signals in the body. Tight breathing? Not getting a full breath? How is the breath after SLR? What does a clenched belly mean? How is the belly after breathing more deeply? After a psoas release? Do we have a tension in our chest reflecting grief that we can’t feel our worth if they don’t try something we offer? We address that separately. In our care we ask, “Are they being heard?” “Is their body being heard?” “And how are we showing we are listening?” Soo Downe and research colleagues found value in a woman’s embodied experience of birth and being heard. Our bodies are our teachers and being present is how we hear the lesson. Leading without presence of being misses the becoming that birth brings for mother and child. We care less about cooperation and begin to hear better. We care less about getting them to hear us and what we can do for them, and begin to simply breathe in what their body signals are saying. We observe, and when appropriate, reflect to them how our suggestion is indeed a response to what they feel in their body, what they define as a need. We move with their message. With a little practice we sync up and reduce the incoherence – the “I can’t hear us” effect of having our own agenda. Ghorashi, H., Davis, K., & Smets, P. (2018). epilogue: reflections on Belonging, otherness and the possibilities of Friendship. Contested Belonging: Spaces, Practices, Biographies, 379. Wubbolding, R. E. (2005). The Power of Belonging. International Journal of Reality Therapy, 24(2).